Work Schedule: Full-time – . Summary: The U.S. Mission in Nouakchott, Mauritania is seeking three (3) eligible and qualified applicants for the position of Senior Guard. Duties: As a senior guard, Incumbent will act as work guidance for 5-7 Local Guards (LG) on post according to an established assignment schedule, and post specific guard orders. Ensures patrols assigned area on foot or in a vehicle, constantly keeping alert and making an immediate investigation of complaints, irregularities, and unusual or suspicious circumstances. Recognizes emergencies and abnormal situations and takes necessary action depending on the nature of the incident. Incumbent may personally assign guards to stations or areas considered the most dangerous or hazardous because of the potential for theft, sabotage, or terrorist activity. At a post where the protective guard needs are limited, he/she supervises a small group of guards (not more than seven). Experience: Three years in military, police and security related experience is required. Language: Level II (Limited knowledge) speaking English is required. Level III (good working knowledge) reading/speaking/writing of French is required. Proficiency in other indigenous languages (Wolof, Sonikee, Pular, Hassanya and Arabic (Speaking) only is required. Language skills may be tested. Skills and Abilities: Incumbent must demonstrate proficient ability to handle PR 24 or similiar impact weapons, handcuffs, technical equipment ie: X-Ray, metal detectors, radios. And physically fit to work in inclement weather conditions. Must show a consistent pattern of strong work ethic, moral character, reliability, sound decision making. Benefits: Locally Employed Staff, including Members of Household (MOHs), locally-resident EFMs and Third-Country Nationals (TCNs), working at the U.S. Mission in Nouakchott, Mauritania may receive a compensation package that may include health, separation, and other benefits. Other Information: HIRING PREFERENCE SELECTION PROCESS: Applicants in the following hiring preference categories are extended a hiring preference in the order listed below. Therefore, it is essential that these applicants accurately describe their status on the application. Failure to do so may result in a determination that the applicant is not eligible for a hiring preference. 4. Candidates who are EFMs, USEFMs, AEFMs, or MOHs must have at least one year remaining on their sponsor’s tour of duty to be considered eligible to apply for this position. How to Apply: All candidates must be able to obtain and hold a security clearance. To apply for this position click the “Submit Application” button. For more information on how to apply visit the Mission internet site https://mr.usembassy.gov/. Next Steps: Applicants who are invited to take a language skills test, or who are selected for an interview will be contacted via email. 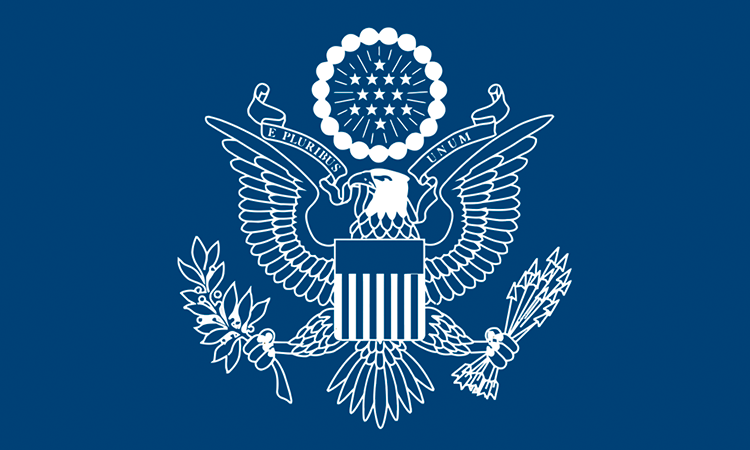 Thank you for your application and your interest in working at the U.S. Mission in Nouakchott, Mauritania.